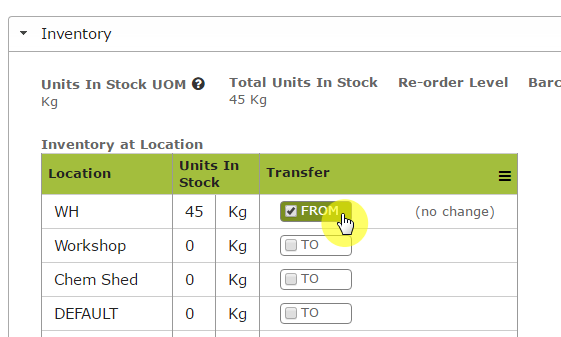 Transfers of Stock Items between Stock Locations can be recorded in one of two ways: Using the “Quick Transfer” feature on an individual Stock Item’s detail page, or creating a “Stock Transfer” document to move multiple products between locations. Go to the Stock Items list, and find the entry for “PMS”. 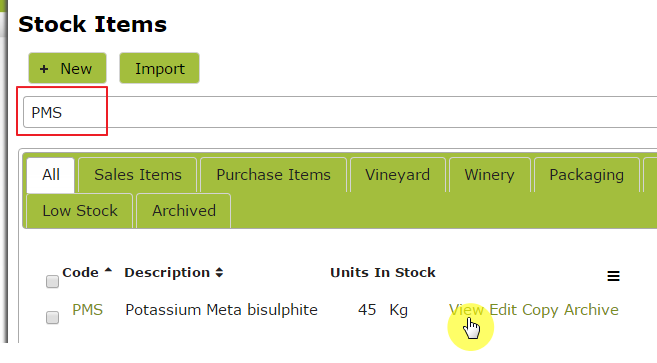 To transfer 10 Kg from the the Warehouse to the Store Room, press the “Transfer FROM” button in the “WH” row. 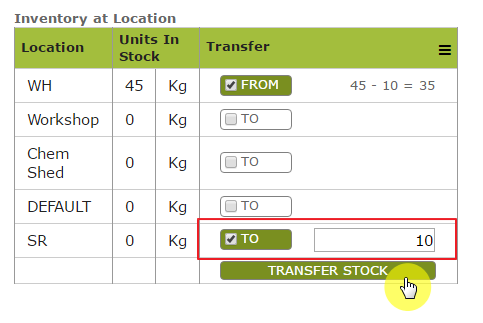 N.B: You can select multiple “TO” locations as part of a single transfer. You can create these documents manually to record more complicated movements. This is covered in the next section. Stock Transfer documents can be created by hand if you need to describe more complicated movements of stock. 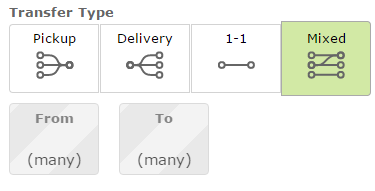 Pickup: For moving Stock Items from multiple, different locations to a single destination. Delivery: For moving Stock Items from a single location to multiple, different locations. 1-1: For moving Stock Items between two single locations. 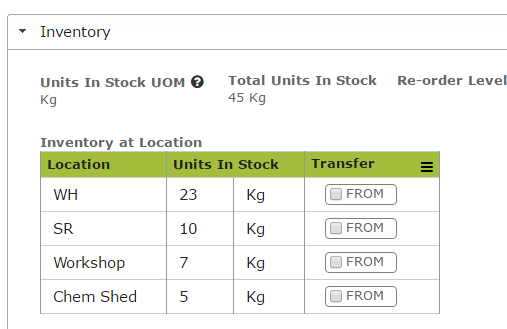 Mixed: For moving Stock Items between multiple, different locations.